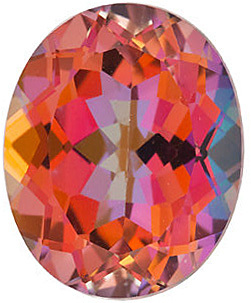 Oval Cut Genuine Mystic Sunrise Topaz in Grade AAA This Mystic Sunrise Topaz Gemstone, Grade AAA Quality, displays a beautiful and exceptionally bright medium to dark yellowish orangecolor. It has excellent symmetry and make with a high standard of faceting precision and has a clarity grade of "eye clean plus". 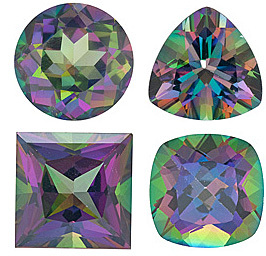 Mystic Sunrise Topaz gemstones have been enhanced using a standard treatment called "vacuum deposition" where a coating of titanium is applied to the pavillion of the gem through the use of electricity. is Eye Clean with Excellent Brilliance, a Good Cut, Polish. .
Topaz - Not Just a Beautiful Blue Gemstone. It is not unusual to find some colors of topaz in larger carat weights and many larger beauties have been cut and polished and now reside in museums. There are very famous 1,000+ carat weight topaz at the Programa Royal Collections (Madrid Spain), the Smithsonian Institution of Natural History and one in the American Museum of Natural History in New York. These gemstones can range in sizes from 31,000 carats (6.2kg / 13.66 lbs) for the yellowish-brown El-Dorado (discovered in Brazil in 1984) down to 1,469 carats for an unnamed yellow-green topaz.Where Does The Name "Topaz" Come From? 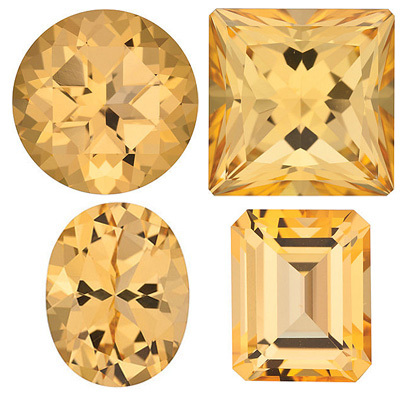 Because topaz comes in several colors and shades thereof, evaluating one can be a little more difficult than evaluating a gemstone like a diamond. Topaz is a gemstone of the evening and looks best in incandescent or candle light. It can look a little washed out in daylight or under florescent light especially if it is not of the best quality. 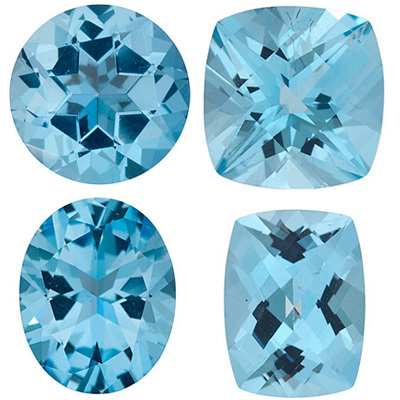 Cut Topaz is cut in just about every shape imaginable except it is rarely cut in to cabochons. A well cut topaz will always stand out over a poorly cut topaz. Hue The hue of a topaz will depend on the color so the guidelines here are general by nature. 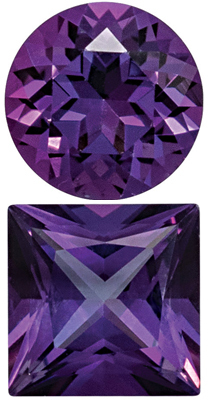 In general, the more rare the color, i.e., violet / red, the more expensive the topaz will be. 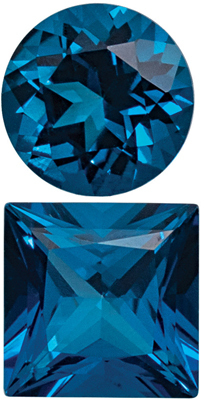 Enhanced blue topaz is very available and therefore less expensive as are Mystic and Passion topaz. A 60% - 70% hue is a good rule of thumb. Saturation The saturation evaluation defined here is again a more general rule. Colors of topaz other than blue or Mystic or Passion may have a brown saturation mask. As a general rule, color saturation between 70% and 80% will be o.k. Over 80% and the brown mask will be noticeable, and under 70% the color may be too pale. Tone Many believe that in general the best tonal range is between 50% and 80%. 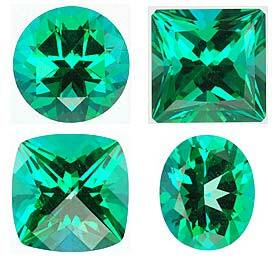 This range may vary as to which is best depending on the hue of the topaz and the individual preferences of the collector. Carat Weight Topaz can be found in very large carat weights in nature. 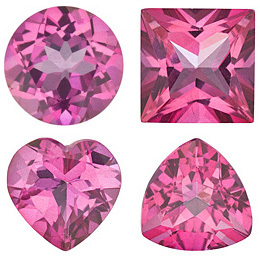 As a general rule the rarer the color the rarer it is to find in larger carat weights available for setting in jewelry. For example, blue topaz is very available in larger carat weights up to 20 carats but Imperial Precious topaz is rarer in carat weights over a few carats and will be much more expensive. Clarity - Topaz is a Type I gemstone and should be eye-clean. 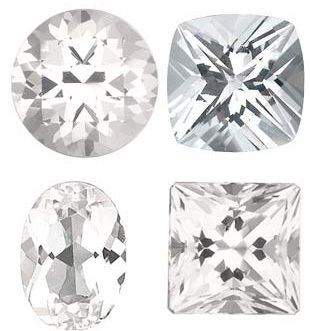 Mohs - While topaz is an 8 on the Mohs scale and very suitable for everyday wear in rings, pendants or earrings one should take the same care as one would when wearing a diamond. Like a diamond it has perfect cleavage and it can break, chip or form straight cracks if one were to hit it in just the right place. So protect it from hard knocks. 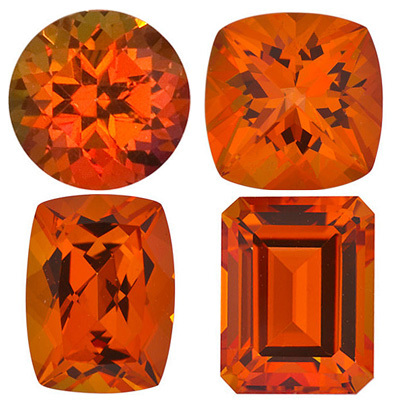 Treatments-Yellow, golden, orange, pink and red topaz may be heat treated or completely natural. Yellow topaz when heated may turn pink. While blue topaz does occur naturally it is rare. The blue topaz that took the jewelry world by storm in the 1980s is colorless topaz that has undergone heat and / or irradiation treatments*. These treatments made blue topaz plentiful and they are permanent. 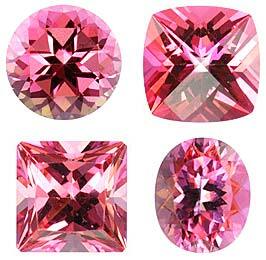 Mystic / Mystic Fire and Passion topaz are treated by different types of patented diffusion or surface coating processes. While these treatments are accepted and relatively permanent topaz treated with these processes do require special care when being set and / or cleaned. Simple warm soapy water or jewelry cleaner safe for pearls and opals is the best for cleaning all topaz. As with all gemstones, one should avoid using chemicals like bleach or chlorine or abrasive polishing clothes when wearing topaz jewelry. 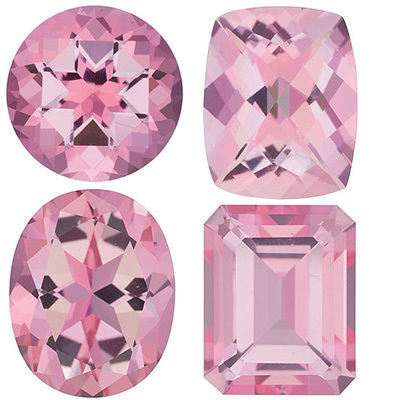 Gem Report - A buyer who is considering the purchase of a loose topaz gemstone should request a professional gemological report in order to help them know exactly what they are purchasing. Grading reports may be shown using a numerical value and / or percent or be given an overall letter (B thru AAA to GEM) and description "grade" for the clarity and color - it will depend on with which laboratory the gemologist trained. There are several recognized laboratories like Gemological Institute of America (GIA - uses the numerical scale), International Gemological Institute (IGI), International Gem Society (IGS), European Gemological Center (EGC) and more. 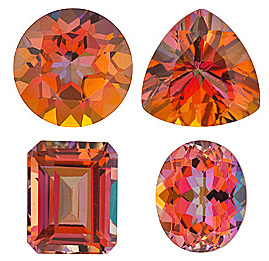 A very fine collection of high quality free sized loose topaz gemstones in the precious and imperial varieties are here! Precious topaz stones are characteristized by a beautiful pinkish orange color with the finest gems displaying reddish tones. Golden yellow topaz, the more commonly know variety has a beautiful golden straw yellow color. Topaz is also characterized by it's brilliance and durability. 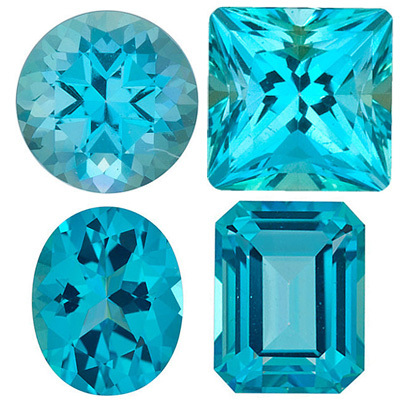 Don't wait - Get your loose topaz gemstone now!